French President: SF "is the place where tomorrow’s world is being invented"
French President Francois Hollande was greeted by state and city leaders, French-American students and other guests at a San Francisco City Hall reception late this morning. Hollande, who became president in May 2012, arrived in San Francisco this morning as part of a one-day visit that includes a meeting with technology companies based in Silicon Valley and San Francisco. At the 11 a.m. City Hall reception in the South Light Court room, city leaders including supervisors London Breed, David Chiu, Katy Tang and Norman Yee, police Chief Greg Suhr, fire Chief Joanne Hayes-White, City Attorney Dennis Herrera and Sheriff Ross Mirkarimi mingled with French visitors, while a large crowd filled the rotunda hoping to catch a glimpse of the presidential visitor. A group of middle school girls from the city’s Lycée Français de San Francisco, a French-American school, sang in French to welcome Hollande who entered with San Francisco Mayor Ed Lee and Lt. Gov. Gavin Newsom. Former San Francisco Mayor Willie Brown was also in the audience at the reception. Newsom spoke about the entrepreneurship and innovation found in the Bay Area, which he said enticed the French president to include the city in his American tour. “We are on the leading edge of new ideas,” Newsom said. Later today Hollande will attend a lunch and “tech hub” that will give the president a chance to talk with entrepreneurs from new companies and business leaders based in the area. “Hopefully you take away some ideas,” Newsom told the president. Mayor Lee spoke about the city’s many connections to France, including its sister-city Paris, which Lee visited last year. He also mentioned ongoing and future collaborations between the two nations in the technology field and how the two leaders have discussed the impacts of economic growth including housing, education, jobs and affordability issues. “Your stay in our city will make it clear…San Francisco is the innovation capital of the world,” Lee said. Lee said more French tech workers are coming to the Bay Area and that the “influx has benefited” the city. “France is committed to staying innovative,” he said. He then presented Hollande with the key to the city. 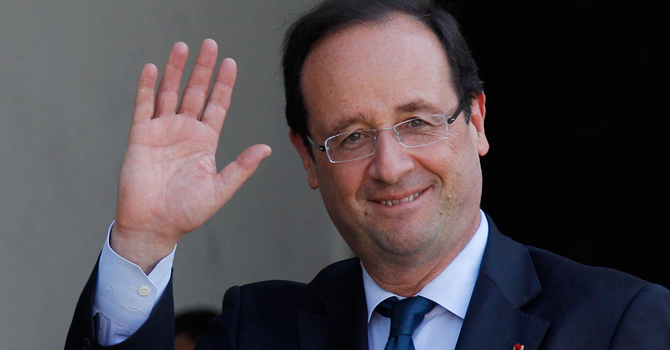 Hollande praised San Francisco, calling it an incubator of liberty, innovation and modernity. According to Hollande, there are 300 French companies based throughout the state and there is a history of American investments in French companies coming from the Bay Area. Hollande made mention of partnerships between French universities and California institutions including the University of California at Berkeley and Stanford University. Gov. Jerry Brown was expected to attend today’s ceremony, according to Hollande, but he was unable to make it. On Tuesday, Hollande was in Washington, D.C., where he met with President Barack Obama, who hosted a state dinner for the French leader. 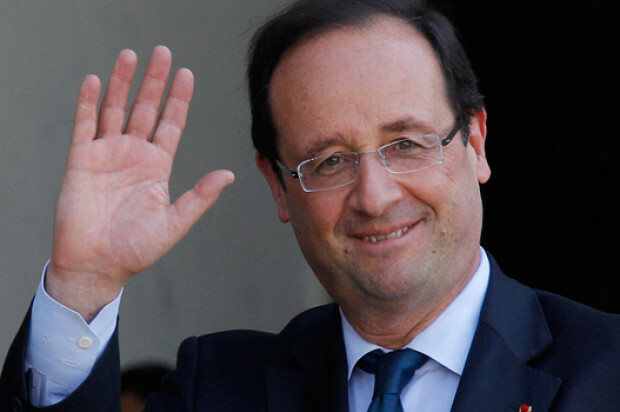 Hollande is scheduled to return to France on Thursday, according to his calendar.